The Ngami Copper Project (NCP) consists of the Triprop JV prospecting licenses PL35/2012 and PL36/2012 and targets the structurally modified stratabound Cu (-Ag) mineralisation in Kalahari Copper Belt. The NCP is located to the NW of the central KCB. 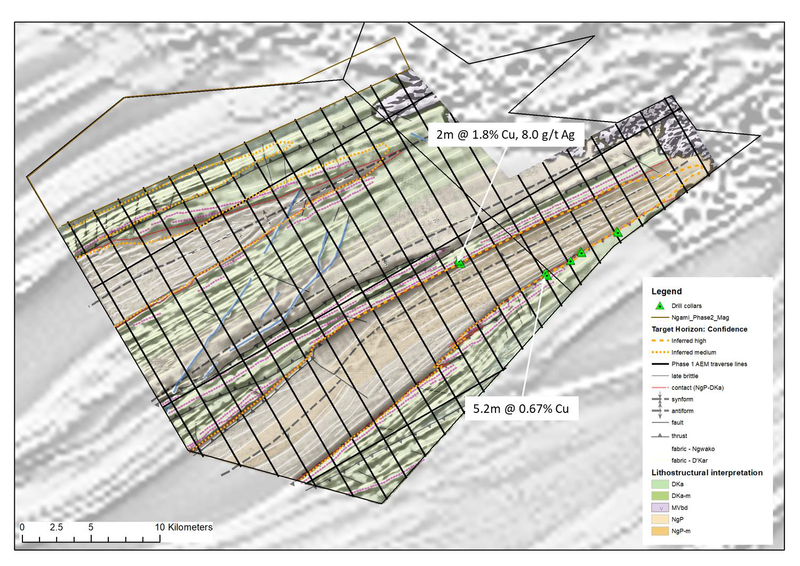 Work completed to date includes high resolution magnetic coverage, soil sampling, 2000m of drilling and regional airborne electromagnetic survey. Soil sampling has confirmed the existence of mineralisation at the interpreted redox contact. Drilling has returned positive results with Cu mineralisation associated with hydrothermal veining structure intersected in several holes. Recent airborne electromagnetic surveys have identified a number of ‘dome’ targets analogous to Mod Resources’ T3 deposit. 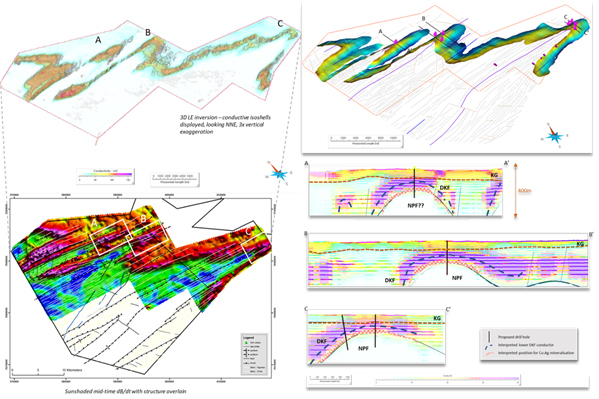 Re-interpretation of high-resolution magnetic data supported the possibility for mineralisation occurring in fold hinge zones with potential ‘dome’ targets. Follow-up regional airborne electromagnetics confirmed a number of compelling targets. A second phase of high-resolution electromagnetic survey is currently underway.